There were many highlights of the winter season. Wrestling was probably our best sport during cold months. We had a Catholic League and Public League champion from Northeast Philadelphia, and our guys did very well in the postseason individual tournaments. While we didn’t hang any banners, we did have good teams who had many shining moments on both the boys and girls side. Now that the season is over, it’s time to make those tough decisions about who is the best of the best. This week we’ll name the best in basketball and wrestling. All winners will be honored May 16 during the annual Northeast Times Sports Awards Banquet. The event will be held at the FOP Lodge 5, 11630 Caroline Road. The senior point guard always had the talent. 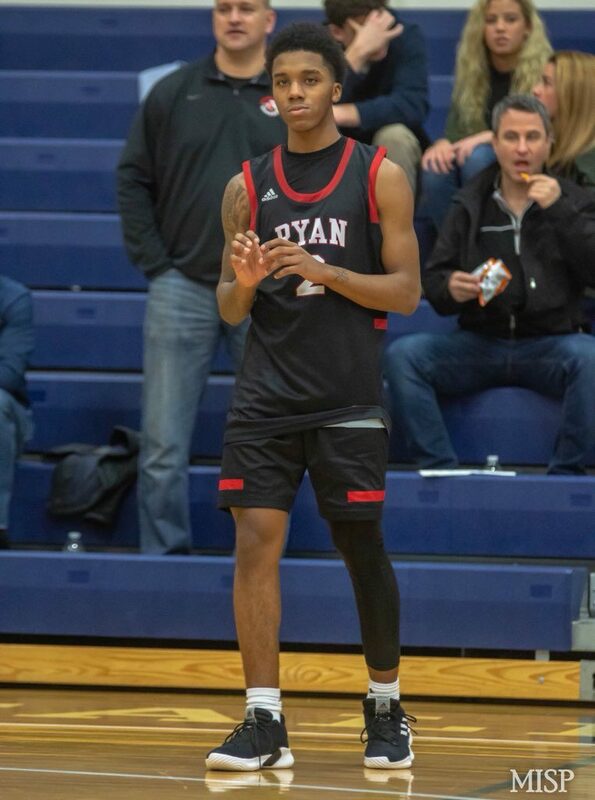 He was a key player two years ago when Ryan made the semifinals of both the Catholic League playoffs and the state playoffs, but this year he took a huge step. He became the leader of the team, helping the Raiders make the Catholic League playoffs and then win a game in the state playoffs. He scored about 15 points per game for Ryan, and also became a lockdown defender. Stone’s leadership was necessary because the Raiders ended up playing a lot of underclassmen during the season. When they needed some help, Stone came through. Next year, he’ll continue his basketball career at Woodstock Academy, a prep school in Connecticut. Last year, Charleston led the Railsplitters in scoring as Lincoln won the city championship and advanced to the state championship game. This year, there were a lot of pieces to replace, but Chaleston provided Lincoln with a veteran leader. He also continued to be a top scorer, averaging more than 11 points per game. And while Lincoln got off to a slow start while the rest of the team got experience, Charleston was solid right from the start. 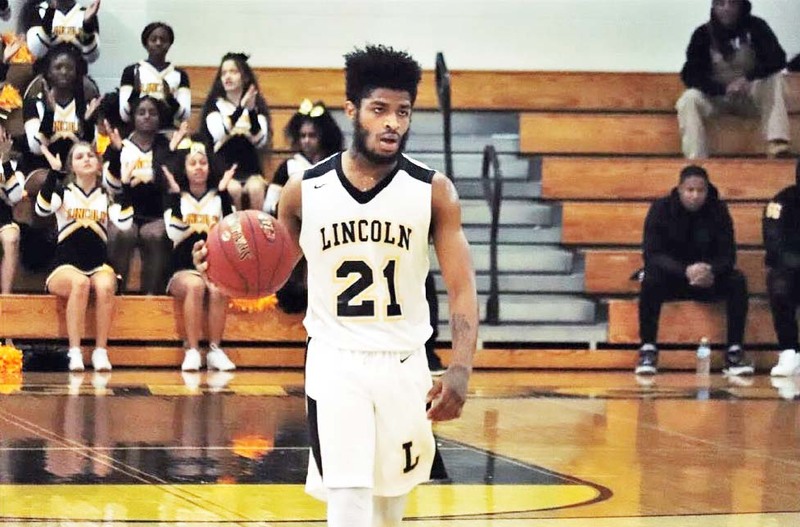 Lincoln went on to make the quarterfinals of the Public League playoffs which earned the Railsplitters a chance to play in the state playoffs. A four-year starter, Charleston finished his career with 1,050 points. Charleston is undecided about where he’ll go next year, but he is hoping to play basketball in college. It wasn’t an easy year for the Raiders. Like all teams in the Catholic League, the competition was stiff every night for Ryan. But the Raiders hung tough all year. Ryan didn’t have a lot of star players, it just had a good players who played their role. The chemistry led to a successful season that included a win in the state playoffs. The Raiders also hung tough despite adversity, which included working younger players into the lineup for assorted reasons. While playing so many underclassmen wasn’t helpful for the 2019 season, it should help beyond this year. Ryan returns all but three seniors next year. That means even brighter days are ahead for Ryan. Moore has been of the best players in the Catholic League for her entire career, and she is winning this award for the third straight season. Her final year might have been her best. This year she scored 15 points per game, pulled down eight rebounds per game, with four assists and two steals per contest. The Ragdolls finished the season 8-6 in league play and advanced to the Catholic League quarterfinals where they fell to Neumann-Goretti in overtime. Moore finished her career with more than 1,000 points, becoming just the third payer in program history to hit the milestone. 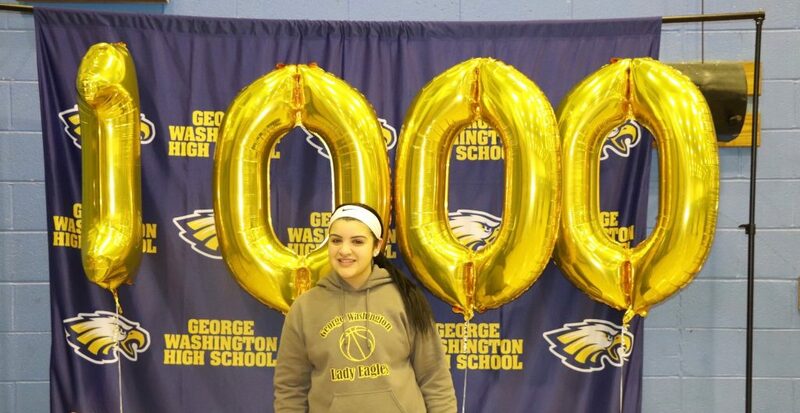 It was a historical season for the senior who became the first girls basketball player in school history to hit the 1,000-point plateau. 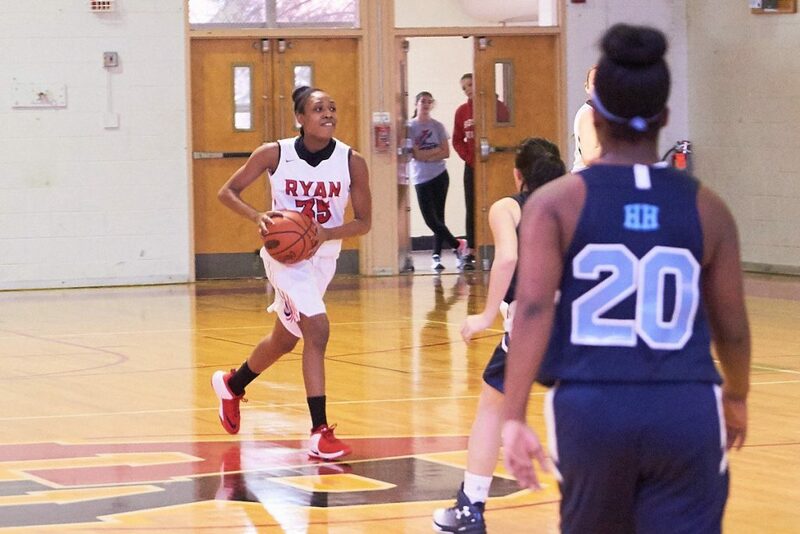 And this year, just like last year, Vazquez was one of the top scorers in girls basketball. This year she averaged 23.5 points per game for the Eagles. This year, however, she improved in all areas of the game. In leading Washington to a 13-5 record and a trip to the Public League quarterfinals, Vazquez pulled down nearly nine rebounds per game while recording 3.4 steals and more than 1.5 blocks per game. This is the second year in a row that Vazquez won the award. Next year she plans on continuing her basketball career, but she’s still unsure where she’ll play. The Eagles did have a pair of great players in Vazquez and point guard Ireland Smith, and that’s a good starting point, but after that the team had little experience. Under Reid, the younger players got better in a hurry. Washington went 13-5 overall, including 11-1 in Public League play. The Eagles advanced to the playoffs and after a bye, won its first round game before falling in the quarterfinals. Reid did a solid job helping his two stars improve every year while helping the underclassmen learn on the fly. 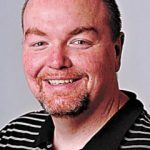 While Washington will greatly miss Vazquez next season, Reid has Smith for another season, so the Eagles should be in contention again in 2020. The Crusaders had some great senior wrestlers this year, but it was a junior who ended up having the most productive season. 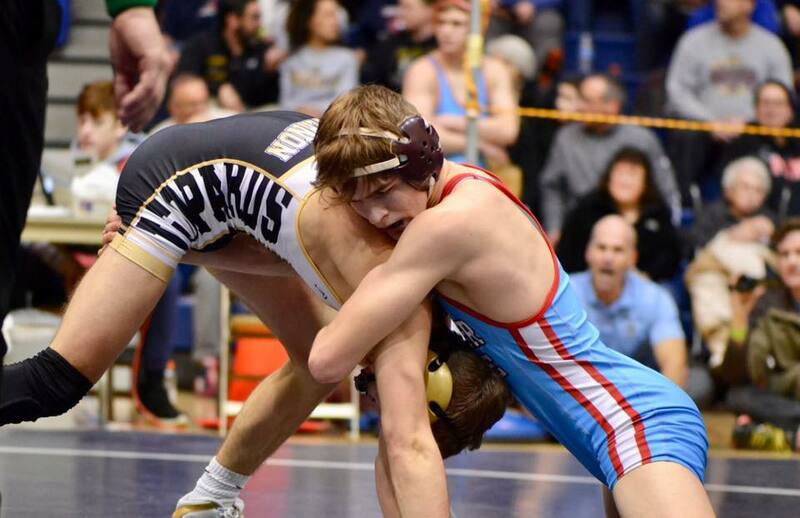 Logue won his third straight Catholic League and District 12 championship, and this year he qualified for the state tournament in Hershey. While he didn’t medal, he did go 2-2 against the best competition in the state. Logue finished 44-6 on the season. He won his first 27 matches and on the year he scored bonus points in 36 of 44 victories. Logue also played a big part in the Crusaders winning the Catholic League championship and the District 12 title. The Vikings won their second straight Public League championship and Santana, a junior, played a huge role in it. Not only did he win 34 matches with 12 pins, 13 tech falls and 3 major decisions, but in the biggest match of the year, he had his biggest win. In Northeast’s win over Central in the championship match, Santana scored a second period pin in the final bout of the meet to lift the Vikings to the championship. He went on to place first in the Public League individual tournament, second in the district meet and advanced to the regional tournament where he went 2-2. Next year Santana will be the leader of the Northeast team as it looks for its third Public League championship in a row. The Crusaders loaded up with a tough nonleague schedule this year and did so because they wanted to be ready for the Catholic League championship. Last year Judge uncharistctly lost in the semifinals and they didn’t want to suffer the same fate again. Instead, they were at the top of the heap again. Judge went undefeated in Catholic League competition and won the championship by besting Archbishop Ryan, which also had a strong campaign. For Savage, it was the 10th time he earned a Catholic League championship as a head coach. He won six during his time as the coach of his alma mater North Catholic, and this was the fourth time he won as the Judge coach. The Crusaders had a balanced lineup with seven wrestlers winning more than 30 matches. The fall winners include Catholic League Football Player of the Year Colin Boyd (Archbishop Ryan), Public League Football Player of the Year Marlon White (Northeast), Football Coach of the Year Frank McArdle (Archbishop Ryan), Catholic League Boys Soccer Player of the Year Brendan McCarthy (Judge), Public League Boys Soccer Player of the Year John Simpson (Franklin Towne Charter), Boys Soccer Coach of the Year Chris Logan (Franklin Towne Charter), Catholic School’s Girls Soccer Player of the Year Belle Spinelli (Nazareth Academy), Public League Girls Soccer Player of the Year Amanda Stapf (Franklin Towne Charter) and Girls Soccer Coach of the Year Jon Geist (Ryan). The spring awards, as well as the overall winners, will be announced early next month.